Ready to get moving for a great cause? 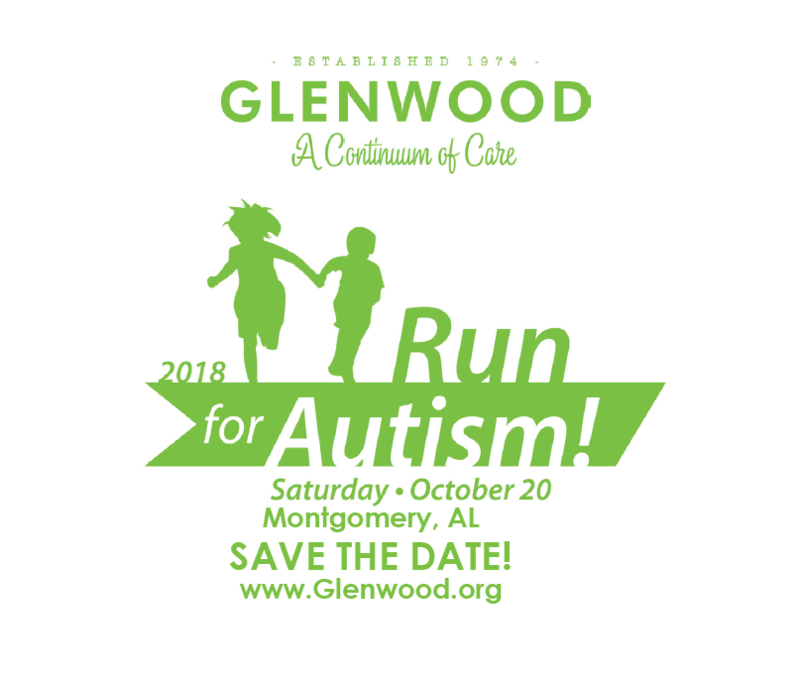 Glenwood, Inc.’s services in Montgomery will hold its seventh annual 5K Run and 1 Mile Fun Run/Walk on Saturday, October 20, 2018. The 5K Run will start at 8 a.m. and the 1 Mile Fun Run/Walk will start at 9 a.m. The race will begin at the Glenwood office located at 2361 Fairlane Drive, Montgomery, AL and will proceed through the Executive Park Complex, into the Green Acres neighborhood, and end back at the Glenwood building. Support and race day services will be provided by The River Region Runners. The 2018 Run for Autism! is a charitable event supporting services provided to children in the Montgomery and Central Alabama area. Glenwood, Inc. is Alabama’s leading autism treatment program, with state-wide services, and is seeking to expand on services for children diagnosed with Autism Spectrum Disorders. Proceeds from the 2018 Run for Autism! will help cover costs for this much needed service. Cool Unisex technical shirt for first 200 participants. Bobblehead trophies awarded to top 3 male and female runners, top masters, and top 3 in each age group in the 5K run. Refreshments and door prizes provided.